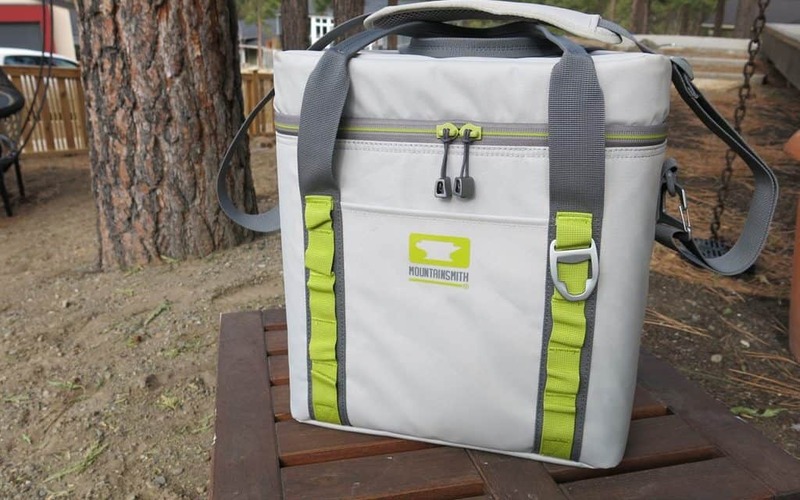 The Mountainsmith Cooloir 12 soft-sided cooler is aptly named for its ability to hold 12 cans of liquid (aka. 12 liters) with ice and a little room left over for odds and ends. 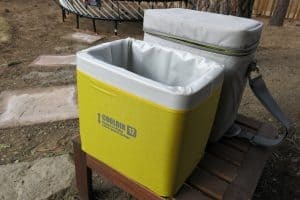 The Cooloir claims to keep drinks cold for up to 72 hours and so we are putting this soft-sided cooler to the test. The real secret sauce here is the closed-cell EVA foam insulation, which makes the difference over the coolers of years and decades past. This new closed-cell EVA foam really delivers the insulation needed to maintain temperature beyond 24 hours, and that’s the real key here. Then wrapping that cooling “box” or insulation in a durable soft-sided material delivers the durability. 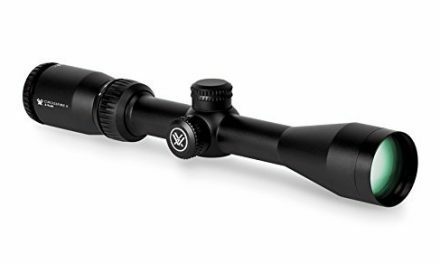 MSRP for the Cooloir 12 is $120. Soft-sided coolers have really exploded onto the scene. In the past, these coolers offered little in the way of insulation, so performance was a let down. Think back to the old Coleman and Igloo soft-sided coolers you or your parents had and you’ll know what I mean. Today’s soft-sided coolers are vastly different with the far more effective closed-cell EVA foam wrapped in a durable shell, these coolers are effective and make for a far lighter alternative to the hard-sided coolers. 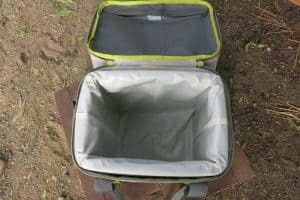 And they are often a lot less expensive, and take up less space in a boat, in the field, or as a secondary cooler for camping. These things combined explains their sudden popularity. For this product review we put the Cooloir 12 to the test in the rugged and often balmy Central Oregon area. We took it camping, fishing, stand up paddling, to outdoor concerts, and anywhere else our adventures led us. We used this bag on hot summer days in the high desert when temperatures reached 94F at the peak of the day and cooled to 55F overnight. In these temps we came to expect things to be kept cool in this bag for about 60 hours. 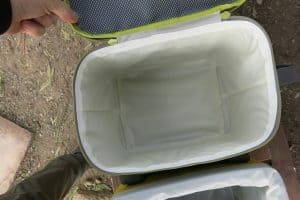 That’s less than was claimed yet far better than other coolers we’ve used, and frankly better than we anticipated with these high daytime temperatures. In fall and spring months, 72 hours was achieved. 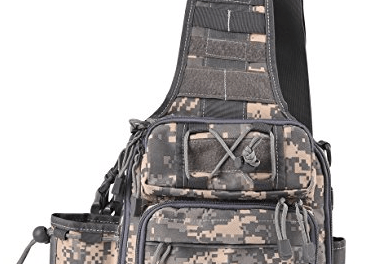 What surprised us was how practical this bag was to take almost anywhere – it’s sized for easy carrying, the shoulder strap works well, and it stowed easily. It was easily cleaned inside and out by separating the inner insulation box from the outer, and rinsing or scrubbing. 12L coolers are not big, they are pretty small and with ice there’s not much more room than a 12 pack would fill but for our needs we found it to be an item we used a lot especially in small boats, SUPs, canoes, strapped to kayaks, it could even be strapped to the back of our ATVs and motorcycles (that’s not something we’d normally do but the exterior material was heavy duty enough to stand up to it). From that perspective it’s not going to replace anybody’s big 50L cooler anytime soon, but that’s not a reasonable expectation. After months of use and one trip bouncing around the back of my pickup, it remains in good condition – the exterior material is fully in tact, the straps are like new, and no pesky wear or tears to the inside material. GREAT VALUE The Mountainsmith Cooloir 12 soft-sided cooler represents a big improvement in insulation with the closed-cell EVA foam - it's a superior product. 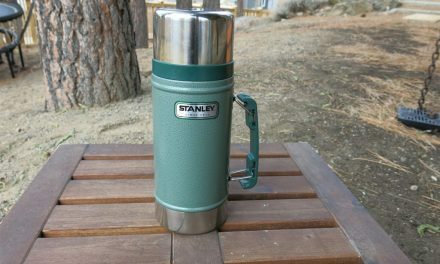 This 12L size is small but super convenient. And there's always the 24L size if you need more room. The cooler held up well to months of use. 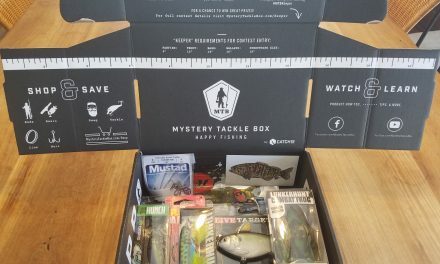 I highly recommend it for value and quality in a small soft sided cooler ideally suited for small boats, canoes, kayaks, ATVs, day trips, and more.